Dakota Mayi Johnson is an American actress and model. She is the daughter of actors Melanie Griffith and Don Johnson. She had her screen debut alongside her mother in the comedy-drama Crazy in Alabama(1999) and was named Miss Golden Globe in 2006. 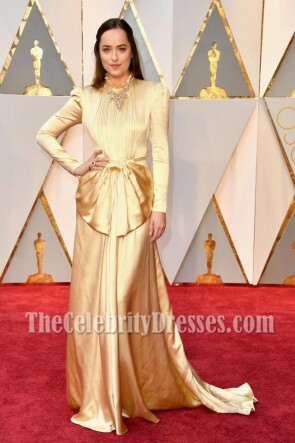 Want to dress like Dakota Johnson at your special event? Our best affordable collection of dresses including formal dresses,prom dresses inspired by Dakota Johnson on the red carpet. Elegant, classy and extremely figure flattering, those styles are guaranteed to turn heads at any occasion. 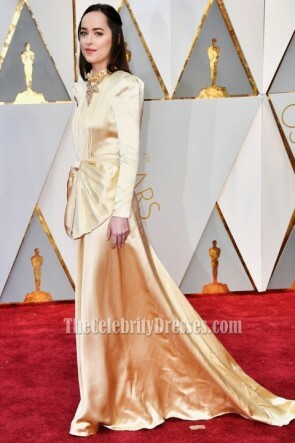 Dakota Johnson dresses for less, Dakota Johnson Inspired red carpet dresses 2018 & 2017 for sale.Dakota Johnson pink dress,Dakota Johnson black dress and Dakota Johnson dresses at Oscars.